We’d love your help. Let us know what’s wrong with this preview of Bending the Bars by April D. Brown. Survivors know no other life. They have been conditioned to believe abuse is normal. The search for Anne continues. More people try to escape. Stuck in the legal limbo land, where they are safe from abusers, while surrounded by other survivors, with little hope of full recovery. 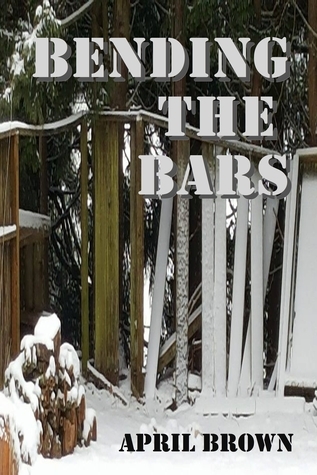 Few make it out to live beyond the bars Survivors know no other life. They have been conditioned to believe abuse is normal. Stuck in the legal limbo land, where they are safe from abusers, while surrounded by other survivors, with little hope of full recovery. Few make it out to live beyond the bars that Ruby's Law has given to protect them. It simply isn't safe. Abusers wait out there. Often barely beyond the fence. Bending the Bars is a journey though recognition of abusers, and survivors in the United States. It recognizes how the laws protect the abusers at the expense of the abused. It also conveys reasons why so many stay when they are abused. They often feel there is no escape. Often, there isn't. If they have children, they have to leave without them, potentially condemning their children to worse than if they stay. Legally. It shouldn't be that way. Ruby's Law is a weak start to grant safety to survivors, and a place to bend the bars of abuse, without breaking the survivors. To ask other readers questions about Bending the Bars, please sign up. April D Brown's fascination with history, science, and social science led her on a quest to uncover forgotten societal mythology, which often masquerades as fact. New solutions to old queries will be uncovered in the future, through studies of the past. Her novels and novellas, while adventures, are written in a more clean and classical style, without extreme action, romance, or violence. Characte April D Brown's fascination with history, science, and social science led her on a quest to uncover forgotten societal mythology, which often masquerades as fact. New solutions to old queries will be uncovered in the future, through studies of the past. Her novels and novellas, while adventures, are written in a more clean and classical style, without extreme action, romance, or violence. Characters think before they act. Sometimes, this leads to trouble. Her nonfiction is often written at the request of others. Gluten (and allergy) free cookbooks, include tips for tricks for people with multiple common disabilities, including poor memory, low vision, and limited dexterity. Journey Through Life Lists was written at the request of friends with serious memory loss planning their future, and desperate to remember their past. VoiceOver with the Brailliant Braille Display was designed for personal use, when there was no written manual for learning to use a screen reader for the first time as a middle-aged adult. The clear path April D Brown dreamed of as a child had roadblocks no one could foresee. Of those, the loss of memory caused far more concern, than the loss of hearing and vision. Deafblind and doing fine, most of the time. After all, vision, and hearing, can be internal, as well as external. With the help of her husband, cats, and dogs, she wanders along the path that unfolds slowly before her stumbling feet. The one path she tried to push away as a teen.